Welcome to the GCSE Options webpage for Year Nine Students 2019. You can use this page to help you to find out about the subjects available for you to study at Key Stage 4. All students will study English, Maths, Science and core PE and one of History or Geography. In order to achieve the new English Baccalaureate, you would need to study for GCSEs English Language, Maths, Science, a humanity subject (History or Geography) and a Modern Foreign Language. Whilst we would encourage you to choose a MFL, the EBacc is not compulsory and you may choose to study a 3rd option instead of this. After choosing a Modern Foreign Language you have 2 free choices; 3 if you decide not to study an MFL. You should spend time thinking and talking to your teachers and family about which subjects are the best choices for you. Choose subjects that you enjoy, believe you can succeed in, and think about whether a subject is important for your future. The table shows the Year 10 curriculum, with the number of hours per fortnight spent studying each subject. Options 1 and 2 will be populated with subjects once we have carried out a trial to ensure that as many of you as possible are able to study your chosen subjects. have a new grading scale from 9 to 1. 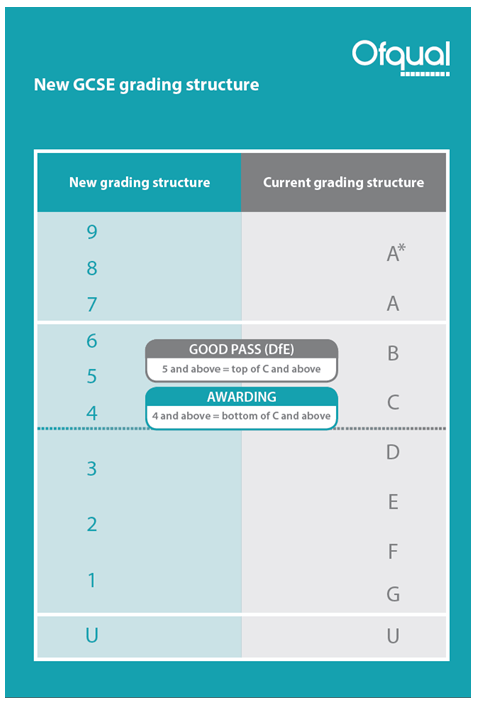 The comparison with the A* – G system can be seen in the table below.